With the school year starting up, your kids are probably lamenting the end of summer fun. Days spent outside are traded for math lessons and homework. However, there is a great way to get your kids excited about the school year and get them motivated to work extra hard this year. How, you ask? 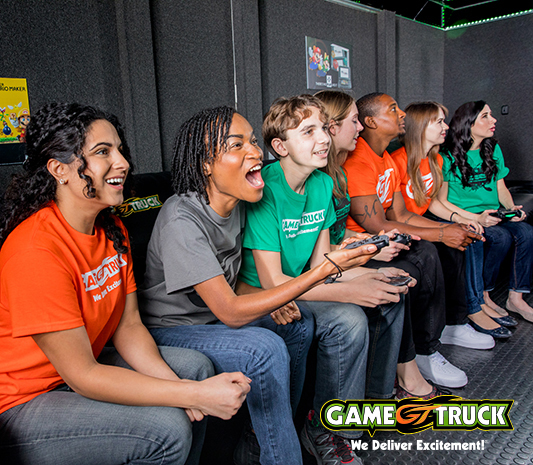 By throwing a back-to-school party with GameTruck San Jose! A back-to-school party is not only motivating for your kids; it helps them know that you think they’re important and that their education is important. Rather than being a reward for hard work, a back-to-school party can be an incentive to work even harder, study smarter, and be an overall confidence boost for your kids. A lot of times we underestimate the stress that a new year of school has on our kids. It helps to think of each new school year as if it’s like starting a new job. Most adults are anxious about new jobs. We are presented with a whole new set of expectations, a new routine, even a new commute – all of which can be overwhelming at times. The same can be said of the new school year. Everything is new, and no matter how old your kids are, everybody gets first day jitters. By throwing a back-to-school party you can get your kids to relax and reframe their idea of starting a new year as an opportunity for fun! How many parents do you know that have thrown a back-to-school party? Probably just a handful – if any. You’re used to hearing about end-of-the-year parties, or school parties around the holidays, but few back-to-school parties. This is great for you because of the novelty of the activity. Your kids and your friends won’t know what’s hit them when you announce that you are planning the first fun event of the year! Now that you’re geared up to throw an amazing back-to-school party for your kids, it is time to pick the perfect event planner! Who better than GameTruck San Jose? We’ve got you covered for the latest games and consoles. The best part? You don’t have to worry about a thing. We’ll take care of set-up and breakdown – not to mention managing the fun during the party – all thanks to our awesome GameCoaches. Gives us a call at (866) 253-3191 and book your Back-to-School party today! Previous Previous post: Why Is GameTruck WaterTag the Perfect Summer Party? Next Next post: Why Is GameTruck the Best for Laser Tag Parties?